Does your hair take ages to air dry and do you often leave the house with your hair wet and still dripping on your shoulders? Then you’re probably familiar with blow drying your hair. 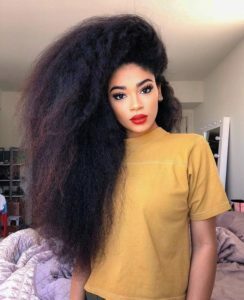 But did you know that blow drying actually causes unnecessary damage to black hair textures and curly hair types? 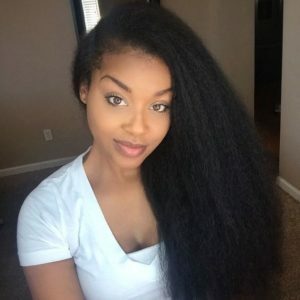 So to keep your natural hair healthy and in great shape, it’s important to use a blow dryer that will actually protect your hair when drying and styling. But what makes a good blow dryer? And what do you need to keep in mind when buying one? Here are our top recommendations for blow dryers for natural hair. 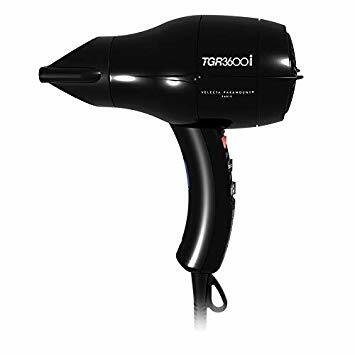 The Velecta Paramount Paris 3600I is a professional blow dryer that has a featherweight size, and weighs only 11 ounces. It has eight temperature, speed, cool shot and ion settings and 1600 watts. It is the lightest blow dryer in our selection and has 8 temperature, speed, cool shot and ion settings for maximum control. 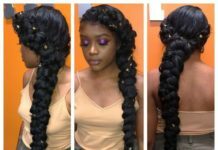 A little pricier than other hair dryers for natural hair, therefore might not fit in everyone’s budget. 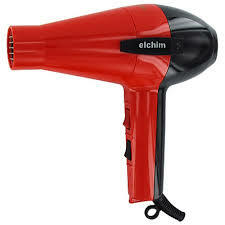 The Elchim Classic 2001 blow dryer has 1875 watts, two speeds, five temperature settings and works on a high-pressure air compression technology. Many hairstylists are using this blow dryer because it has a professional Italian AC motor, with a duration of over 2,000 working hours. So this blowdryer is built to last long and create perfect styling. Pros: This blow dryer will last years and years. It’s reliable and efficient. Cons: It is the second most expensive dryer in our election and not really a great option for those looking for a more affordable blow dryer. It also has only two speed and heating settings, and doesn’t come with a diffuser. This blow dryer is said to be perfect for busy women on the go. 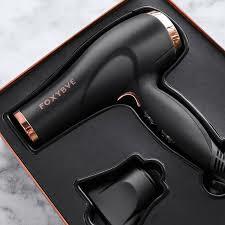 When you are in a hurry and don’t have time to blow dry your hair “you need something quick and cutting edge that leaves your hair feeling healthy and hydrated without sacrificing the quality you deserve,” the product description of the Foxybae Professional Blomance Rose Gold Hair Dryer reads. Pros: The Foxybae Professional blow dryer has 1875 watts, three speeds, three temperature settings and a cold shot button. It also has a high-end AC motor which dries your hair in half the time without looking frizzy, locks in moisture and reduces heat damage. And it has a stylish rose gold color! Cons: This hairdryer might be a little harder to work with since it’s a little heavy. It also doesn’t come with a diffuser. The KIPOZI 1875W Hair Dryer comes with the Advanced Nano Ionic technology which locks the moisture into your hair and leaves it shiny and silky smooth. It has 2 speeds and 3 heat settings as well as a cool shot option. The KIPOZI 1875W comes with a concentrator (which is great for precision styling on straight hair) and a diffuser (which helps you to get perfectly defined and non-frizzy curls). Pros: The motor of the KIPOZI 1875W gives the dryer a strong and consistent airflow. This is great for drying thick and wavy hair types. 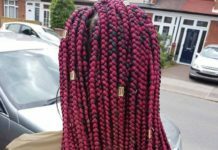 It also dries your hair fast, is lightweight and hardly makes any noise. Cons: This hairdryer is not for lightweights. With 3.3 pounds it’s the heaviest hairdryer on our list. 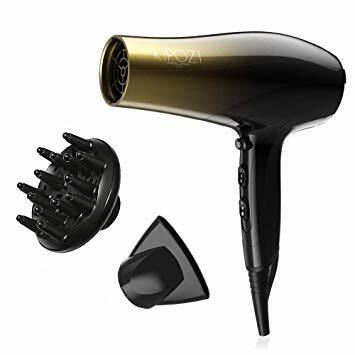 The NITION Ceramic Negative Ion Hair Dryer has a new breakthrough technology: its ceramic coated air outlet grill is infused with Nano Silver, Argan oil and Tourmaline, which help to make your hair non-static, smoother, shinier, and overall healthier. Pros: This is an affordable blow dryer. And with only one pound, this hairdryer is very lightweight. It comes with a concentrator, but misses a diffuser. It also has only 2-speed options. 6How To Choose The Right Hair Dryer? It is easy to overheat your hair hen blow drying and many women actually fry their hair without even knowing. 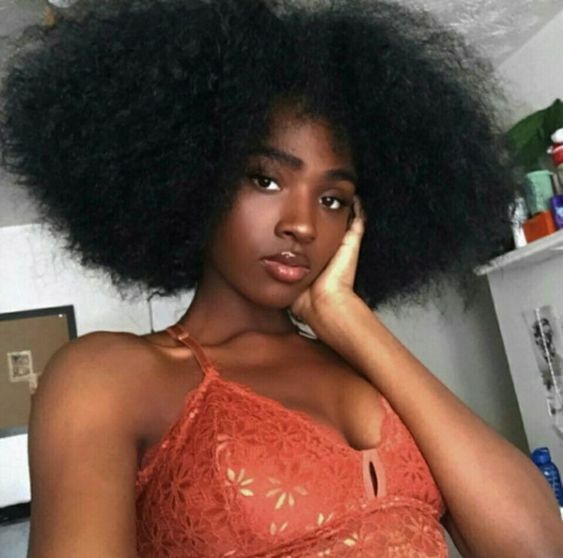 They keep wondering why their hair won’t grow past a certain length, not realizing their hair is actually growing but the ends keep breaking. 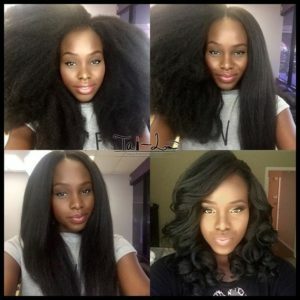 All because of the heat damage that is caused by the tools they use to style their hair with. The quality of the heat tool you use might just be equally important as the products you put in your hair. 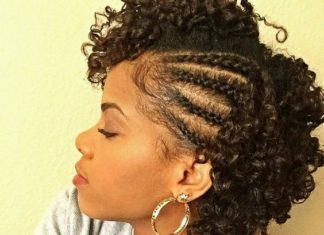 Many naturalistas stay far away from these tools because they are simply afraid of what the heat might do to their mane. But if you are using the right blow dryers, flat irons or curling irons, you have nothing to be worried about. To keep your natural locks look great and healthy you simply must reduce the risk of heat damage. The only way to do that is to know what to look for. Especially when buying a blow dryer, there are a few things to look for and to consider. Like we said before, heat is what causes great damage to your hair. So when looking for a new blow dryer it’s important to look for one that has multiple heat settings. Check if a blow dryer has settings like Low/High or Hot/Warm. It should also have to option of blowing cool air into your hair. A good dryer should have at least a low/medium, high and cool option. The more options, the more in control you are of the heat that’s hitting hair. Sometimes you simply don’t have the time to wait for your hair to air dry and need a blow dryer to work its magic. But in some cases even a blow dryer seems to take ages to get the job done. Therefore it’s wise to look at the heat wattage of a dryer. A high heat wattage will dry your hair faster, which means that your hair won’t be exposed to the heat, longer than necessary. 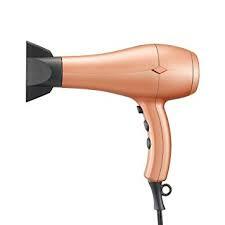 Good blow dryers usually have a minimum of 1300 watts but can go up to 18oo watts. Although it’s tempting to go for that cheap blow dryer you saw, those aren’t necessarily good for the health of your hair. So, instead of going for the cheaper option, we suggest you spend a little more and look for a dryer that has ceramic parts rather than plastic or metal parts, which are often used on cheaper dryers. The ceramic parts of blow dryers use an ionic technology, where the negative ions will speed up the drying time and will leave you with smooth hair that’s remains moisturized and won’t be frizzy. 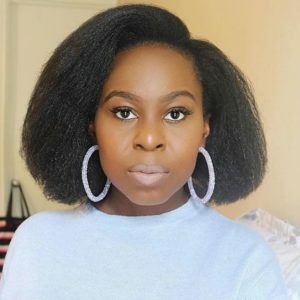 One of the worst thing you can do to your natural hair, is to use damaged attachments. So when buying a blow drying, start with checking if you can buy it attachments separately. So that if the provided attachment (let’s say a comb or a diffuser) breaks, you can replace them with a new one. When blow drying your hair, it’s important that your hair is clean (no unnecessary chemicals should be in there) and completely detangled. To detangle without damaging your hair make sure you use a good quality brush as well. 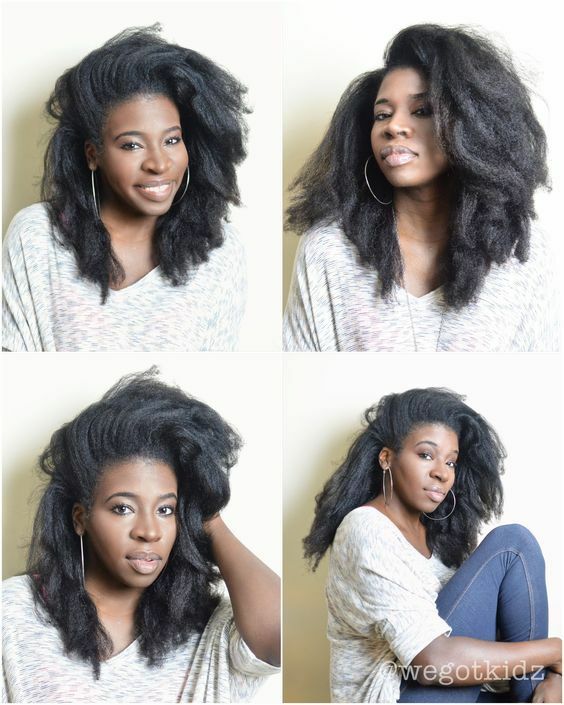 When your hair is completely detangled, separate it into four (or more if desired) sections, as even as possible. 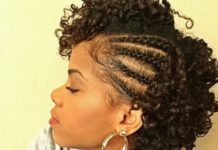 By doing this you make sure every strand gets as much love as the other and it will give you an overall smoother look. The heat of your blow dryer will evaporate the water that’s in your hair. 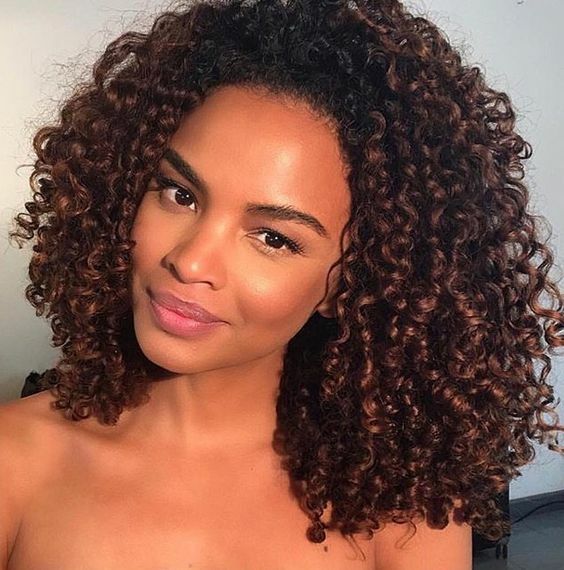 To make sure that your hair will stay moisturized during the process, it’s important that you use a heat- protectant when blow drying. Wet each section of hair with a generous amount of water and heat-protectant. This will protect your hair cuticles by putting a layer over them, which will lock in the moisture and will protect your hair’s natural shine. 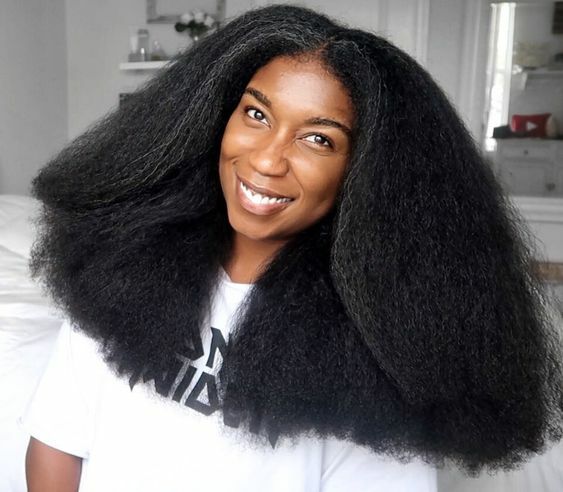 Also, make sure to keep wetting other sections as they might lose their wetness and it’s an absolute no-no to blow dry hair that’s already halfway dry. 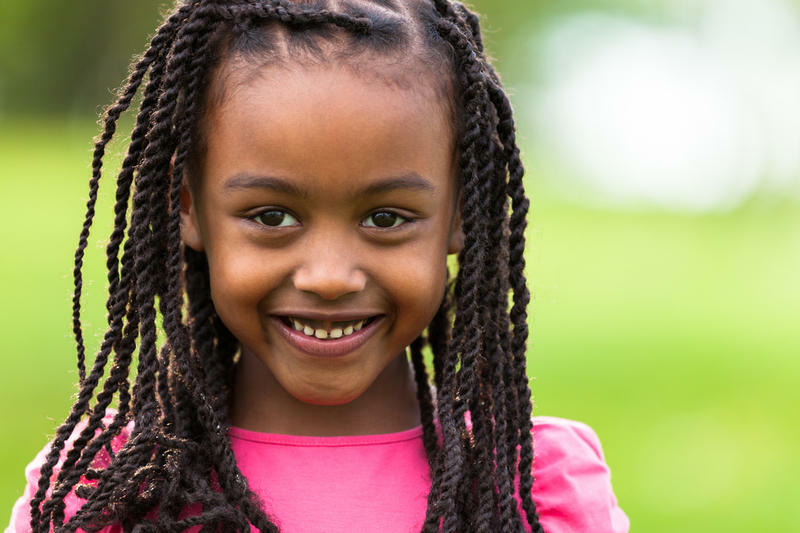 As naturalistas, we love natural oils. Coconut oil, almond oil, avocado oil… they make our manes happy and give them a healthy look. But if you plan on blow drying your hair, you might want to hold back on putting oils in your hair. Even though they are great moisturizers, oils can cause your hair to burn when putting heat on it. So you can put in a little bit of your favorite oils but make sure you don’t overdo it! When your hair is still very wet, start by blow drying on a moderate or low heat setting. 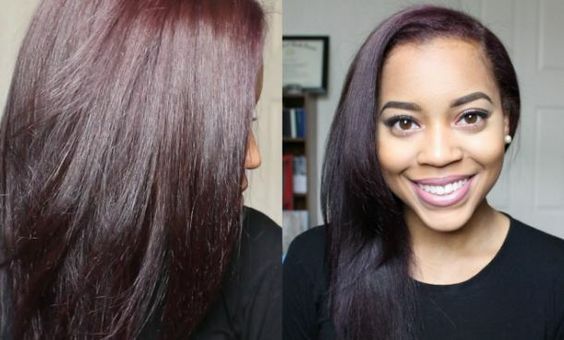 Use a moderate heat setting and begin drying your hair. 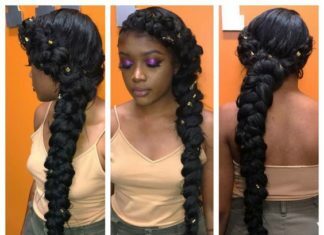 It will protect your hair from overheating and will prevent heat damage. If you are in a hurry you can switch between low/moderate and a higher heat setting, but never just use the high heat setting in and of itself. If you use a brush or comb when blow drying your hair, first make sure it’s of a good quality and won’t get stuck up in there. When blow drying your hair, follow the dryer directly with your brush or comb. Make sure not to hold the blow dryer too close onto your hair, or it will burn your precious locks. Ideally, you should hold the dryer about 15 to 20 cm away from your hair and keep it moving in a continuous motion. 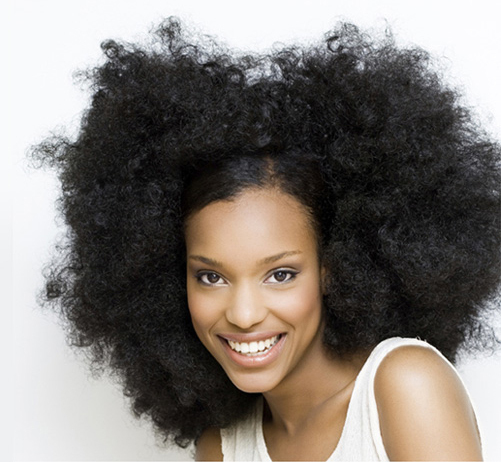 If your hair allows it, it might even be best to use your fingers as a comb when blow drying. That way you can feel it if there’s still a tangle in there and carefully remove it. You could also use your fingers as a diffuser. 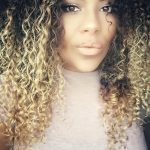 By holding the dryer about 15 to 20 cm from your hair and using your hands to grab your wet locks and lightly and carefully scrunch your curls, while letting the air get rid of the excess water. But whatever you do, never place your hair directly in front of your blow dryer. When your hair is about 95 percent dry, give your lock some extra loving by adding some extra protection. Be careful though, because you don’t want to mess up your prefect hair-do. 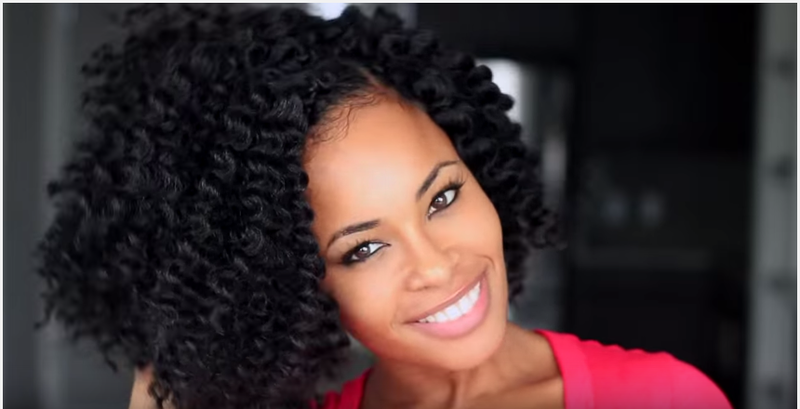 So by scrunching in a protective styling product, your hair will keep it’s beautiful look. 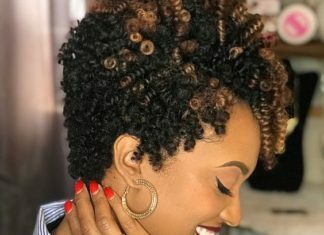 Natural oils are perfect to get this job done, because they will give your hair the extra nutrients after being exposed to all that heat and give it some extra shine. Mommy to one little boy. CurlyGirl. Writer. BakingQueen. MakeupLover.